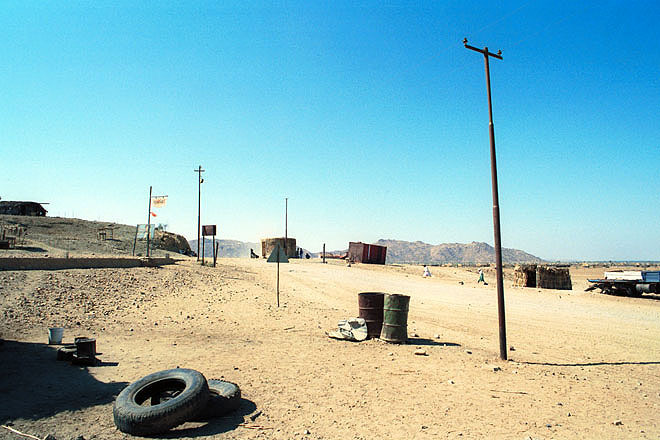 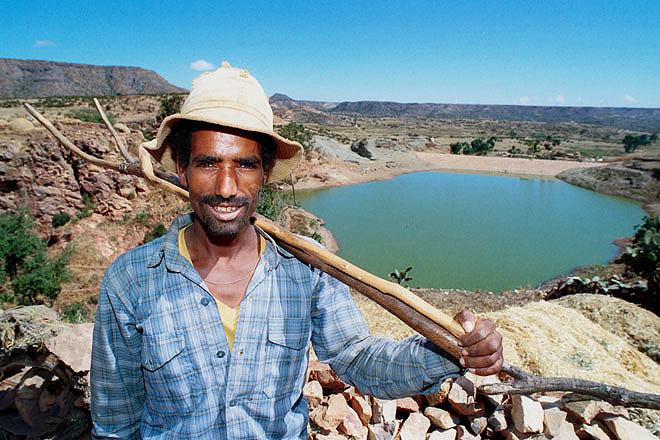 Scenery near AGORDAT, about 130km west of Asmara. 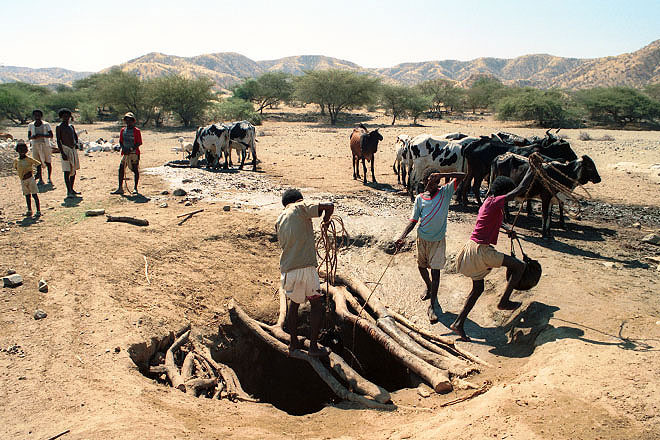 Near BARENTU, about 250km west of Asmara: herdsmen watering their animals from one of the few wells which have not dried out. 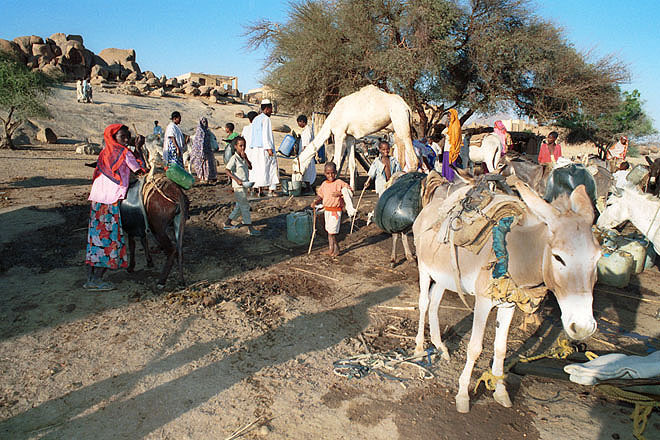 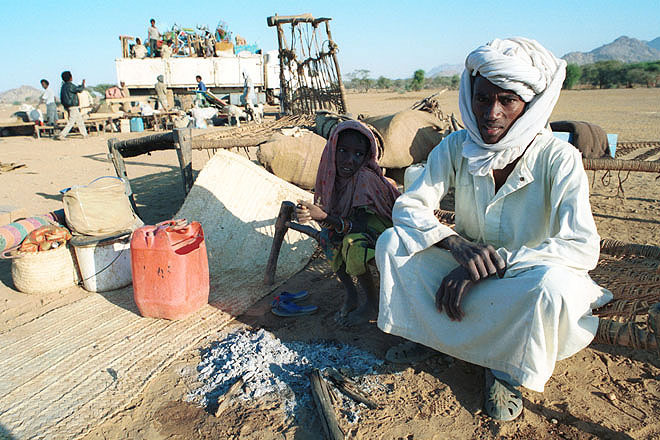 Women and children taking water from a pump in the town of TESSENEI, about 350km west of Asmara. 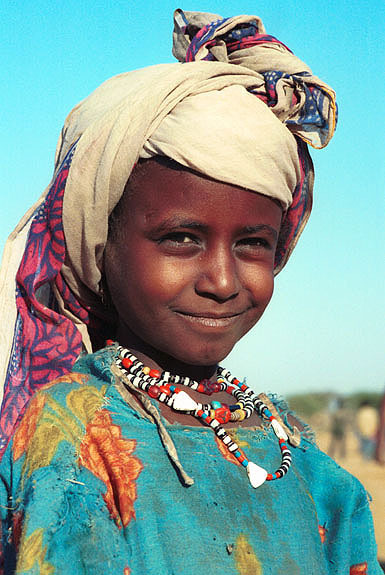 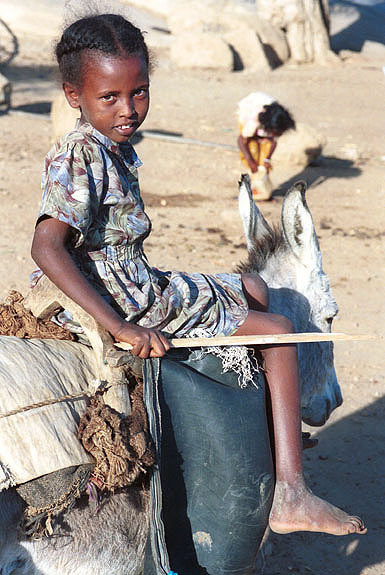 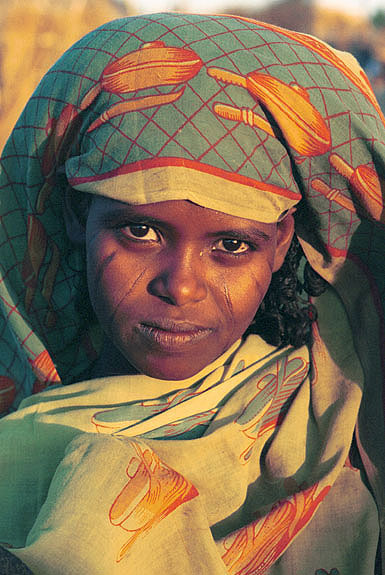 A young woman in the town of TESSENEI, about 350km west of Asmara. 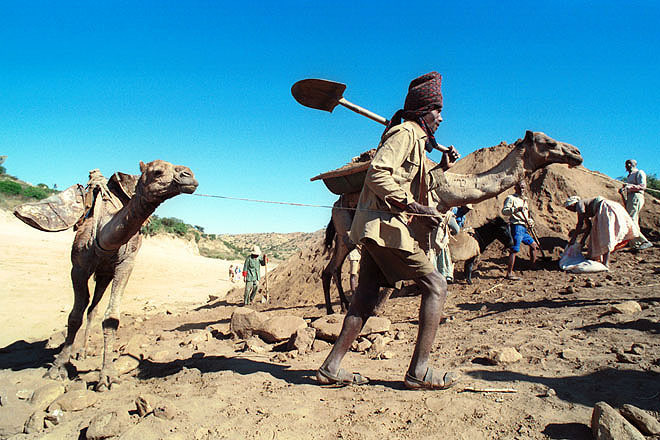 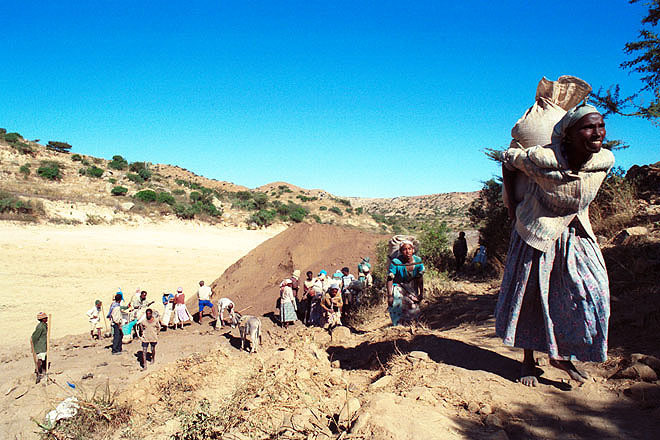 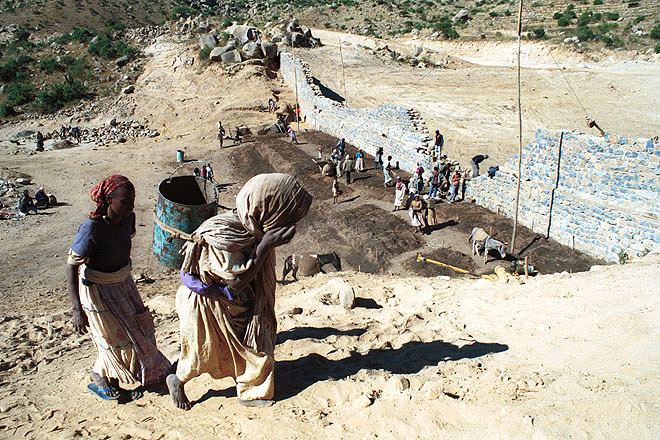 AFELBA, 50km south of Asmara: for payment in food, the local population provides an essential part of the labour force for the construction of a new dam. 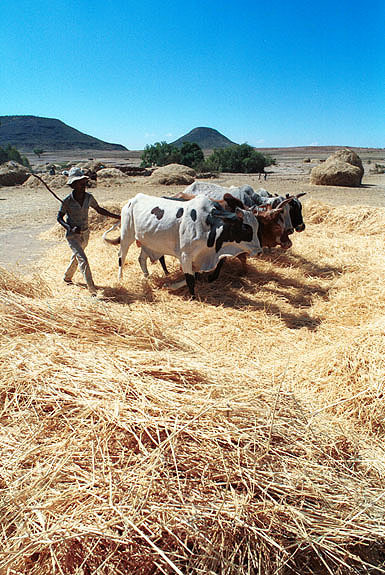 Threshing in DAMBA, a small village 35km south of Asmara. 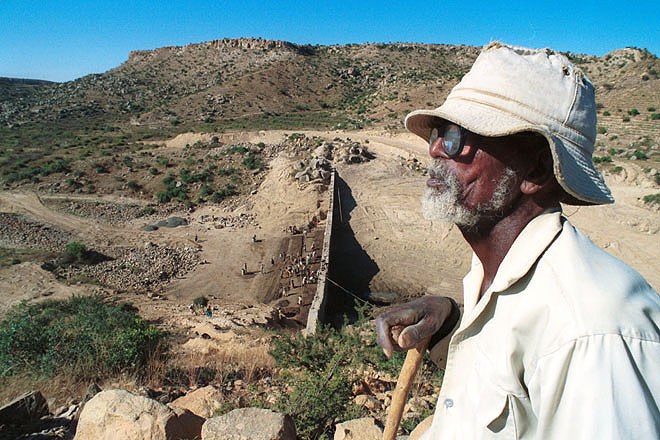 A new dam in DAMBA, a small village 35km south of Asmara, provides the nearby villages with the water supply essential for producing food on a regular basis. 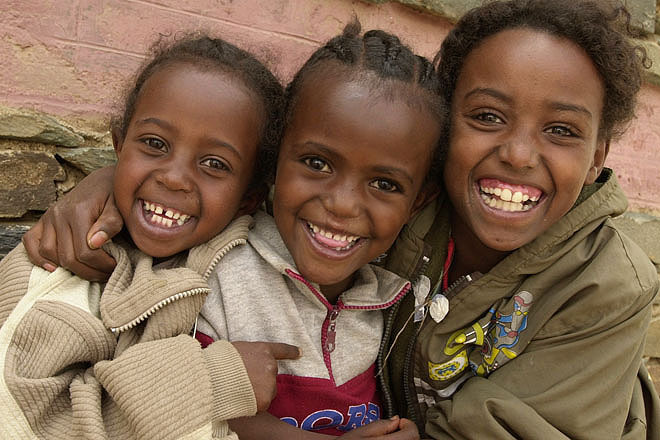 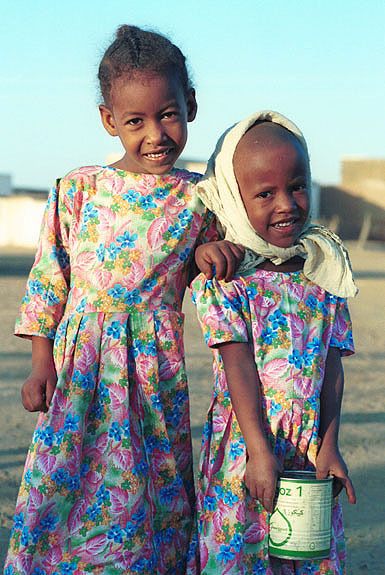 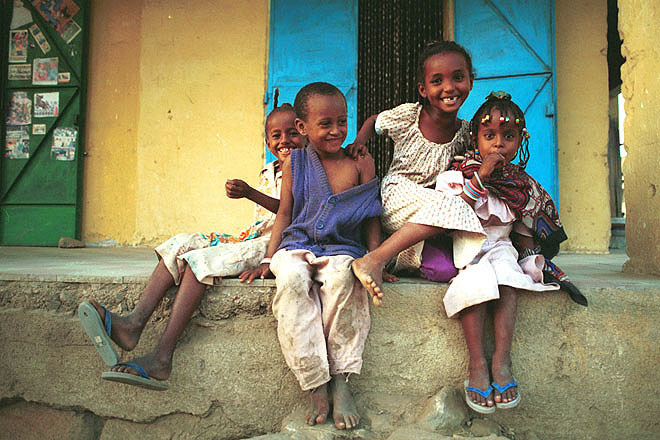 Children in the town of TESSENEI, about 350km west of Asmara. 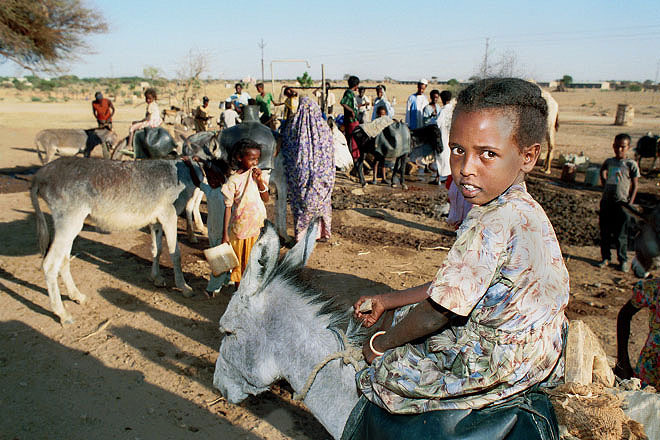 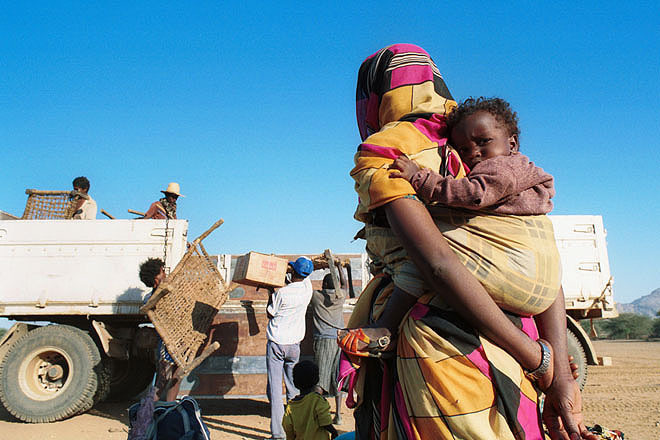 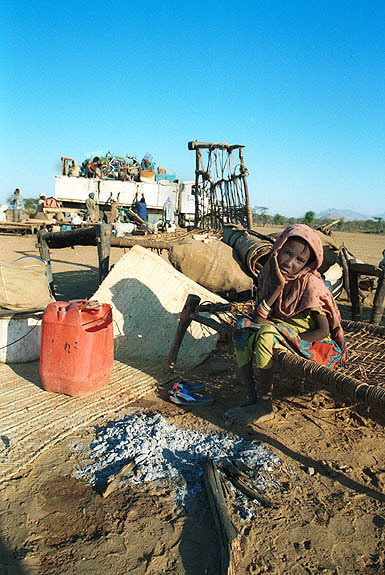 Repatriation center for Eritrean refugees returning from Sudan, in TESSENEI about 350km west of Asmara.